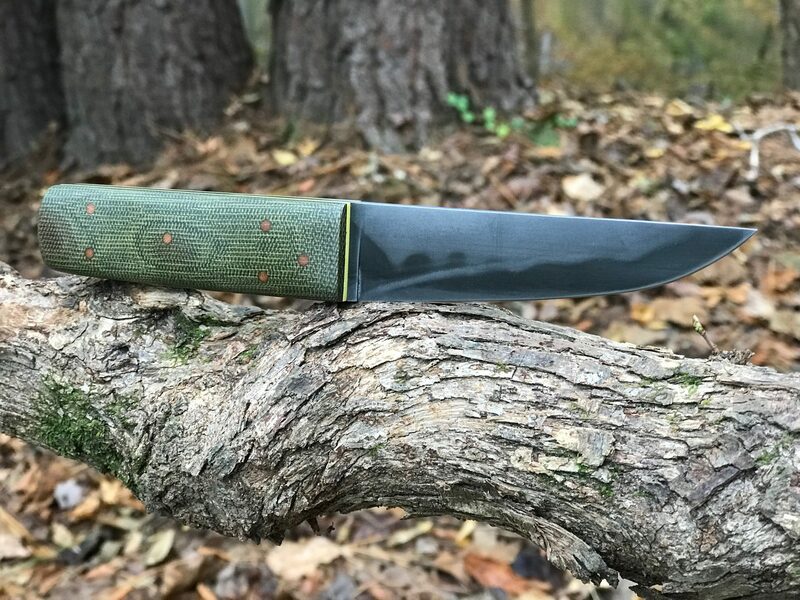 I had a short piece of 1095 and decided to try another hamon. I really didn't have a style in mind when I started grinding so I ended up with this guy with this hamon. Canvas micarta with micarta pins. I like it. It seems very Asian to me. Sometimes no plan flows into great results. I thought the same as well. Thanks for the comment. I tend to feel more comfortable at the grinder when I really don't have a strict pattern I'm trying to get out.